Looking out over the amazing blue of the Caribbean shore, Tulum is a walled Mayan city1 (see Tulum References below) that probably served as a landmark and lighthouse for Mayan traders. The era of the Classic Mayan architecture is displayed here just above the southeastern coast of the Yucatan peninsula. 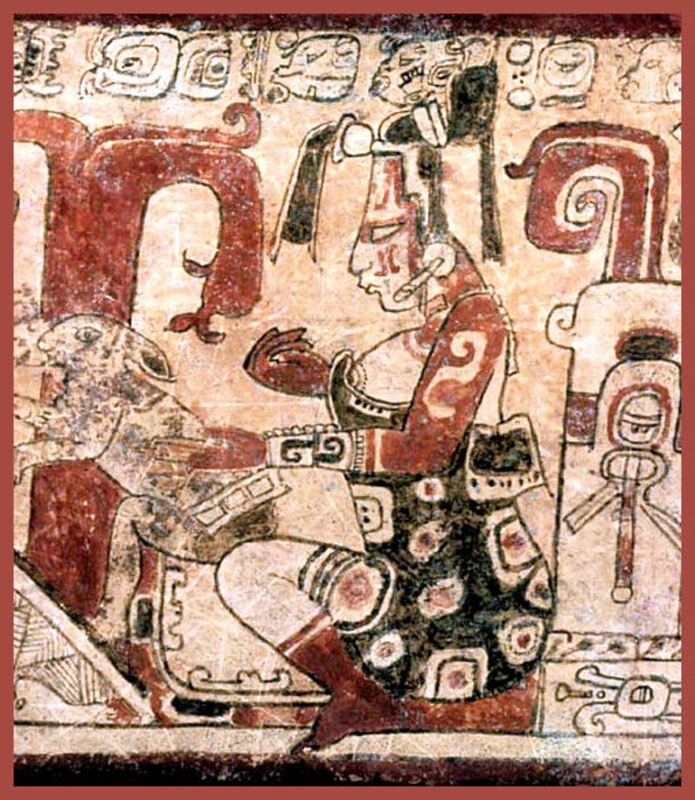 Dating by Mayan scholars and archeologists places the original settlement on or about 564 A.D. (or Common Era - C.E.). 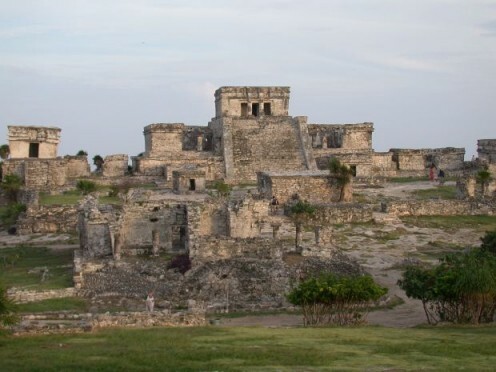 Peaking at 1200 to 1500 A.D., Tulum appears to be built for the purposes of trading. There is speculation that at least one of the structures was a lighthouse to warn sea going travelers about the long reef that follows the shoreline. 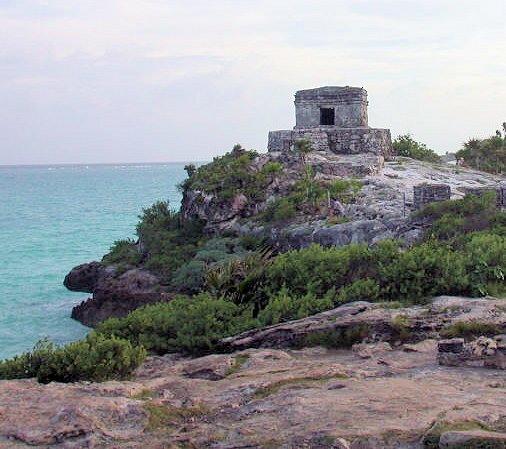 Approximately 1,000 to 1,600 people lived at Tulum when the Spaniards arrived around 1518. Sickness and fighting decimated the population and Tulum was abandoned for the most part when John Lloyd Stephens and Frederick Catherwood visited the area while writing their book, Incidents of Travel in Yucatan. The book encouraged further exploration of the area and the tourist coast of the Yucatan was born. Cancun, Cozumel, Playa del Carmen and other areas near Tulum have exploded with construction of hotels, restaurants and businesses that cater to the tourist trade. This beautiful area attracts visitors from all over the world. Tulum is one of the best, easiest and least expensive land tours available for the tourists that visit the Yucatan. It only lasts for a day, is not too strenuous and covers a major Mayan ruin. It is quite easy to book a tour from your hotel while you are there. 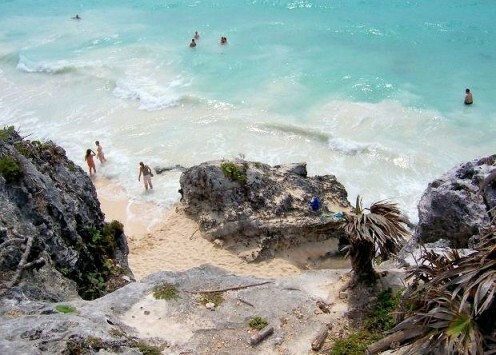 Cruise ships also offer Tulum tours as an excursion. It is also just as easy and probably considerably cheaper to take a bus or even a taxi to Tulum. There are several other stops that may be included in the tour, but just going to Tulum and its beach are probably sufficient for a day. There are plenty of places to stop for lunch and shopping on the way to Tulum or on the way back. Saving the other attractions along the Mayan coast will extend your touring pleasure. Selvatica Canopy Tour - Zip line! Working in 1913 to restore and open the public beaches of Tulum, Sylvanus Morley2 and George P. Howe started the endeavor that continued on with studies by the Carnegie Institution from 1916 to 1922. The beach has been developed and is regarded as one of the best beaches of the Yucatan. Hotels have sprung up around the beach. Just south of the ruins is one of the most beautiful beaches along the whole of the "Riviera Maya". 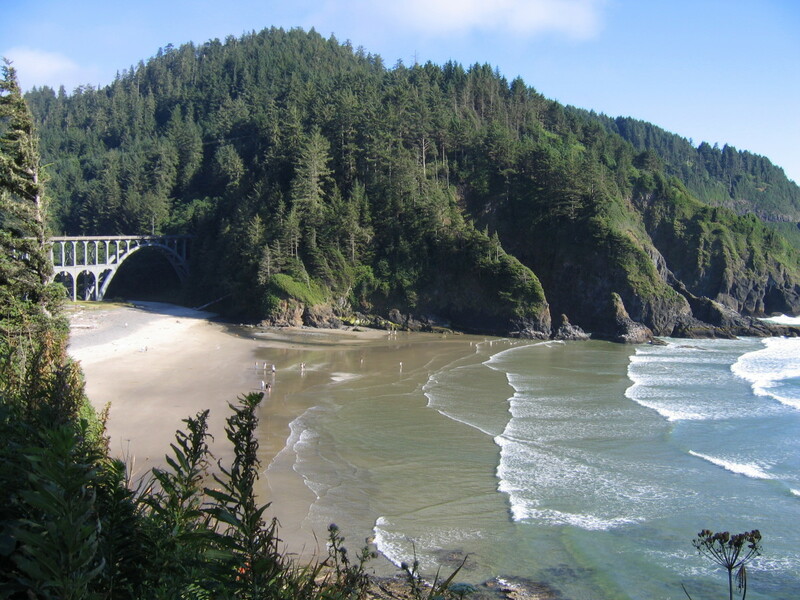 It is a semi-private beach with white powder sand that stays cool during the hot summer days. The beach directly available at the ruins is certain to have been a place where the ancient Mayans swam, so do check it out with some snorkeling gear. The currents are pretty strong, so stay close to the beach and only go out if the sea is calm. One of the most incredible places near Tulum for snorkeling and swimming. Should not be missed! The ancient Mayan Lighthouse of Tulum. A Lighthouse with a great beach! At the top of the main temple at Tulum there is a small room. The altar built into the wall facing the ocean has two windows in it. 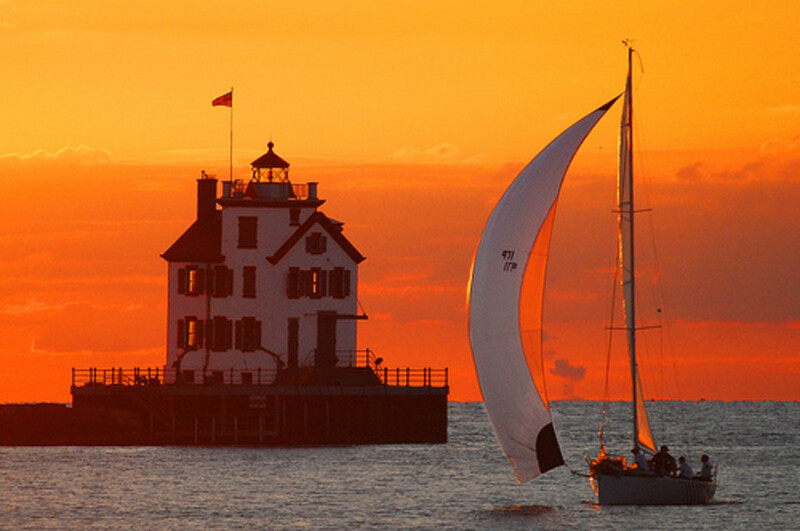 At night, when the fires are lit, the light can be seen from ocean going canoes or other vessels. When the both lights can be seen from the ocean, it appears to mark a channel through the coral reefs. As the video demonstrates, this theory is still valid today for stating that the temple functions as a lighthouse to guide canoes into the channel and not get destroyed by the large reef that also guards the city of Tulum. Trade items found inside the walled city and around the ruins indicate that Tulum was a major trade route by sea and land. Obsidian has been found here as well as gold. Copper from the highlands of Mexico, flint, ceramics and incense burners have also been found here. There is a mystery here regarding a certain symbol recently discovered and investigated by ScienceOnline (see video). The 'Templo del Dios del Viento' (Temple of the God of Wind) is built on a hill next to the ocean. Speculation seemed to indicate that this temple functioned as a warning device for heavy winds. The hole in the roof of the temple makes a whistling sound when wind speeds go up above a certain limit. A newly discovered symbol may indicate that the temple is still actively being used by a mysterious Mayan sect that formed during the Yucatan revolt between the Yucateco forces (mixed Spaniards, Mexicans and other Europeans) and the indigenous Maya people of southern Yucatan. To find the symbol, visit the Temple of the Winds and look through the window from the outside toward the area above the opening door to the inside room. The symbol, about the size of a hand span, is located on the lintel. The ruins of Tulum (Mayan) are the third most visited Mayan and Aztec archeological sites in Mexico. 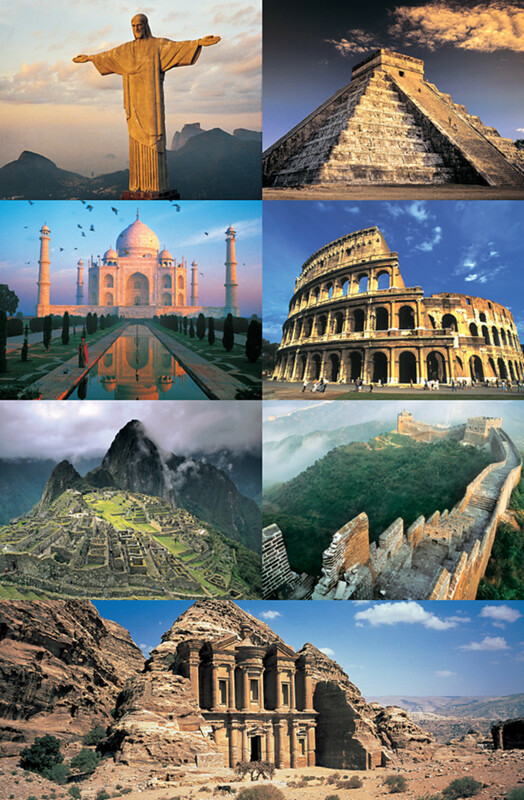 The two sites topping the list are Teotihuacan (Aztec) and Chichen Itza (Mayan). Tulum is extremely accessible and in one of the most beautiful places on earth. The Temple of the Frescoes - beautifully preserved Mayan art, a telephoto lens is needed to see these now as they have been roped off. What would be your favorite tour to take while near Tulum? Comments - Are you interested in a tour of Tulum? When I watched that video, I just got the feeling of how intelligent the Mayans had been. Yep, I almost moved to Cozumel, but got a contract on Maui at the same time and instead of being a millionaire now, I went broke trying to live on Maui! Still, I thought I would retire in Mexico one day, but that doesn't seem to be my path now. Great hub! I enjoyed reading it. I liked how you talked about the pyramid being used as a lighthouse, I forgot about that fact. Also, I didn't know about the "Temple of the Wind", of how it works. I'm off to read your other hubs about the Maya. Many years ago we wanted to buy property somewhere on a beach South of Tulum. At that time we were young and broke. We would be millionaires now if we would've done it ;). I still hope to move down there some day. Well, Chichen is the premier Mayan ruin to visit, that's for sure. It's just a bit hard to get to. It's still 2.5 to 3 hours one way from Cancun even with the new toll road. Which makes it a 6 hour round trip. 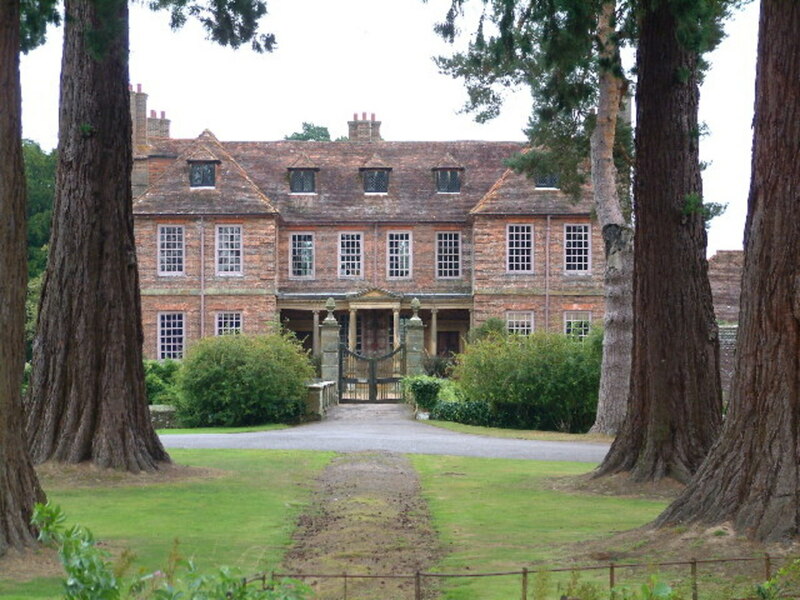 Plus it's a huge complex and difficult to walk around without a guide. 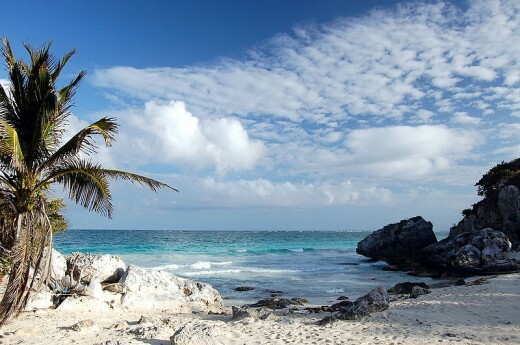 Tulum is special because of its location. You can spend the day at the beach as well as visit the ruins. Nice. I don't think I would go snorkeling, but I would definitely love to see the ruins. I'll have to blow a few bubbles for ya, drbj. I have had the great good fortune of visiting Tulum and Xel-Ha twice mostly to snorkel and enjoy the sea. I hope to be able to visit there again now that you have reminded me, Lela, of how interesting those ruins are. Thank you for the deja vu. I've only been to Tulum once, but it is spectacular! Wish I could have bought the place before it went all touristy. I could live there. Of course, it wasn't, isn't and never will be for sale. But I'll bet that the Mayans that did live there felt they were in a great place! Oh man, oh man. 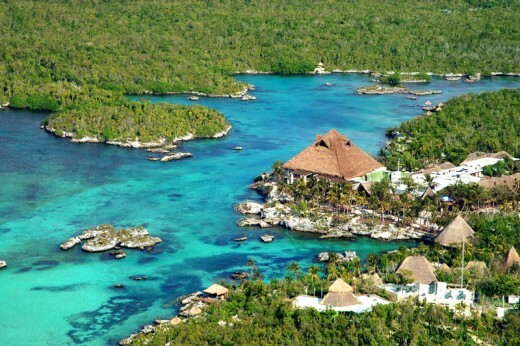 I am GOING to make it down there this year to see Tulum. What a cool-sounding place! I love all the history and mystery that you speak of in this hub. Great job - I learned quite a few things! Since I rarely travel, hubs like this one are my way of seeing the world. Thanks for a great tour!